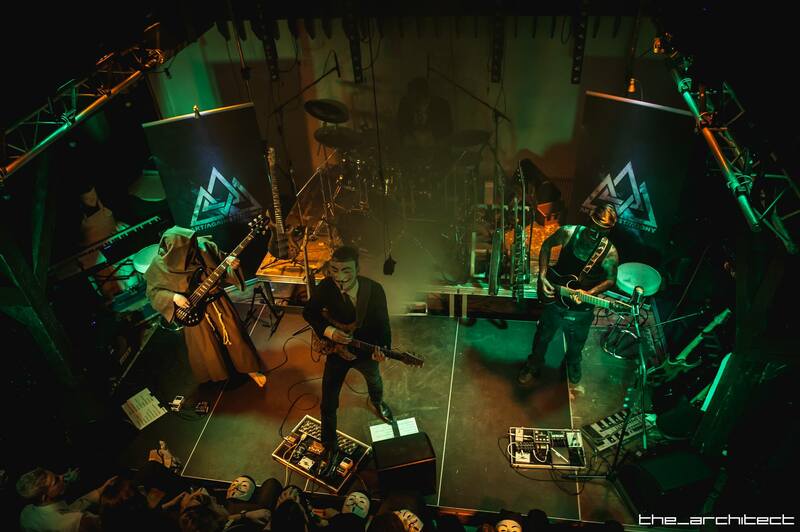 We have already written about Art Against Agony recently in a review of their new EP ‘The Forgotten Story,’ but the band’s lead guitarist the_sorcerer was very kind to provide insight in a creative process behind the record, influences, future, and more. Define the mission of Art Against Agony. 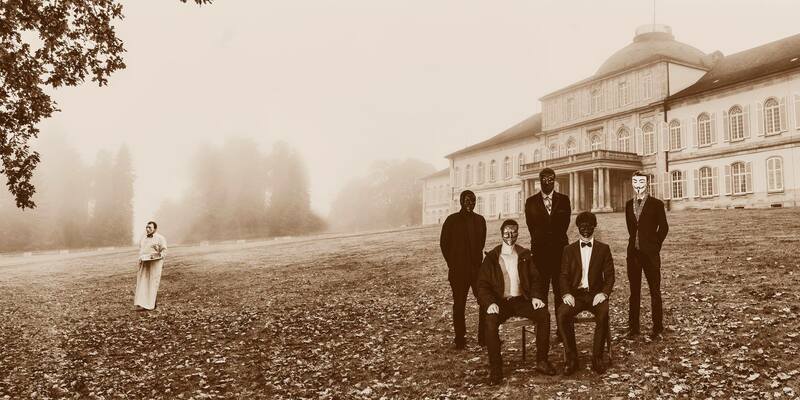 Art Against Agony is both a band and an international artist collective. As artists we want to stay anonymous, because we think that our bodies, names and faces are irrelevant regarding to what you hear on our records, see on our photographs or in our videos. That’s why we have chosen masks to cover our faces, costumes to cover our bodies and pseudonyms to cover our names. The only thing that is important is our actions. We transform ideas into music, because ideas are here to stay. Ideas are the only things that will be left when our bodies – and the bodies of those who have seen and heard our names and faces – will return to earth. Thus, “our” ideas actually belong to nobody, to no bodies. Tell me about the creative process that informed your new EP The Forgotten Story and the themes it captures. What is the message you are trying to give with The Forgotten Story? Our new release is basically a revisited version of our debut record three short stories (2014), hence the name the forgotten story. Over the course of time and due to constant touring many of our songs have been transformed, chords and melodies overwritten, new riffs and improvisations added, old ones removed. This has happened to such a remarkable extent, that we’ve decided to capture the current point of evolution of five of these songs and re-record them, to make the evolution of our ideas audible not only for a live audience. The message of the EP is a lesson about reality: There is no innovation, only discovery, oblivion, and rediscovery. Originality is a concept of self-deception. All of our “new” ideas that you hear on our new EP have been there all the time since the release of our first record, yet it has taken a certain time to fully conceive that; only our ways of expression have changed, not the ideas being expressed. Live performance orchestrated the change of our music and we didn’t document it. We went directly into the studio right after our last tour in 2016 and recorded the songs the way we played them on tour. Ultimately, the only valid judge for this question is our audience. We don’t claim perfection, but we claim truth. Perfection is just one idea to consider among many, furthermore the concept of perfection lies in the eye of the beholder. Truth, however, resides at the core of all ideas. We like to think about musical compositions like about weaving a precious carpet. Every thread has its purpose, and thread upon thread builds colourful patterns, which will look quite differently, depending on your perspective. Yes, we try to be diligent weavers. Many of our songs will reveal multiple layers of harmonies and rhythms, waiting to be explored by the listener. 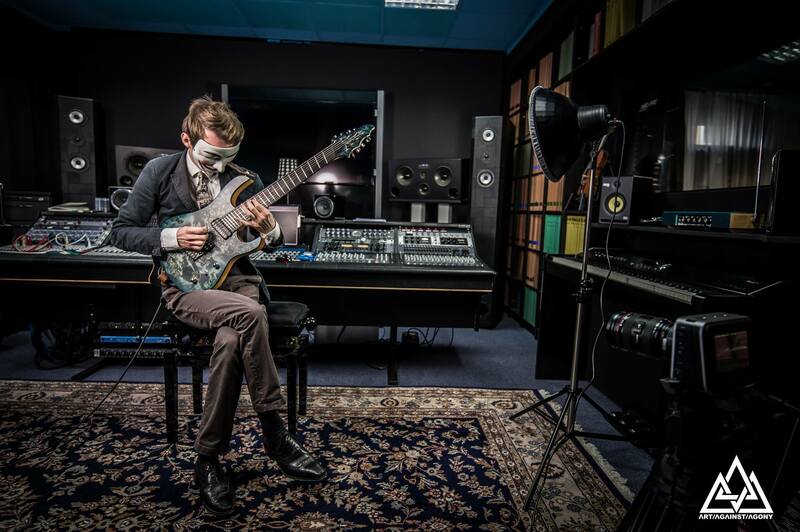 Describe the approach to recording the EP; how long The Forgotten Story was in the making? It’s hard to say how much time we spent for recording the forgotten story, because we work always on many different compositions simultaneously, which then may end up on totally different releases. At a rough estimate, the songs of this EP took us about six months to finish. We work in our own recording studio, which gives us the freedom not to rush with recordings. Usually composing, recording and mixing music happens all at the same time. Inspirations for any song on any of our releases may vary from anything ranging from a delightful mood on a sunny day to a horror story written by H.P. Lovecraft. From a technical side however, our sound may reveal influences from ideas given audible shapes by musical artists such as J.S. Bach, Arnold Schönberg, Jesper Kyd, Jeremy Soule, Don Davis, Knut Nystedt, Trent Reznor, Queens Of The Stone Age, Black Light Burns, Jojo Mayer, Tigran Hamasayan, Moonbootica, Allan Holdsworth and Animals As Leaders. In our song “SpurFünf,” we’ve quoted both Future Breed Machine and New Millennium Cyanide Christ from Meshuggah. In our digital age technology is a tool much needed to transform ideas into material shape. Technology therefore is essential for the creative process, yet its meaningless by itself nonetheless. Our music serves to promote our philosophy. The material world is a circle of life and death and therein, names, faces or any other forms of expressing the human identity are of no value. We are inevitably irrelevant living beings, and all we cherish about our individual self is of most vivid insignificance regarding to what humanity has been, is now or will ever be. In just a small number of years we will have left this planet again, yet our music will stay. We are planting seeds in people’s minds to slowly grow and blossom, while “we” will no longer be here. Very soon we will announce a tour for the end of summer 2017. At the same time we plan to release a second EP, which will be called Russian Tales, because we composed all of its material during our long tour through Russia in spring 2016. A few weeks ago, we have added another mask to art against agony, the_maximalist, who is a player of the Indian mridangam percussion instrument. We are currently composing and recording material, which we plan to release as a third EP in early 2018. Apart from our music department, our photographers are currently working on a new series of photos, which will be published on our website soon. 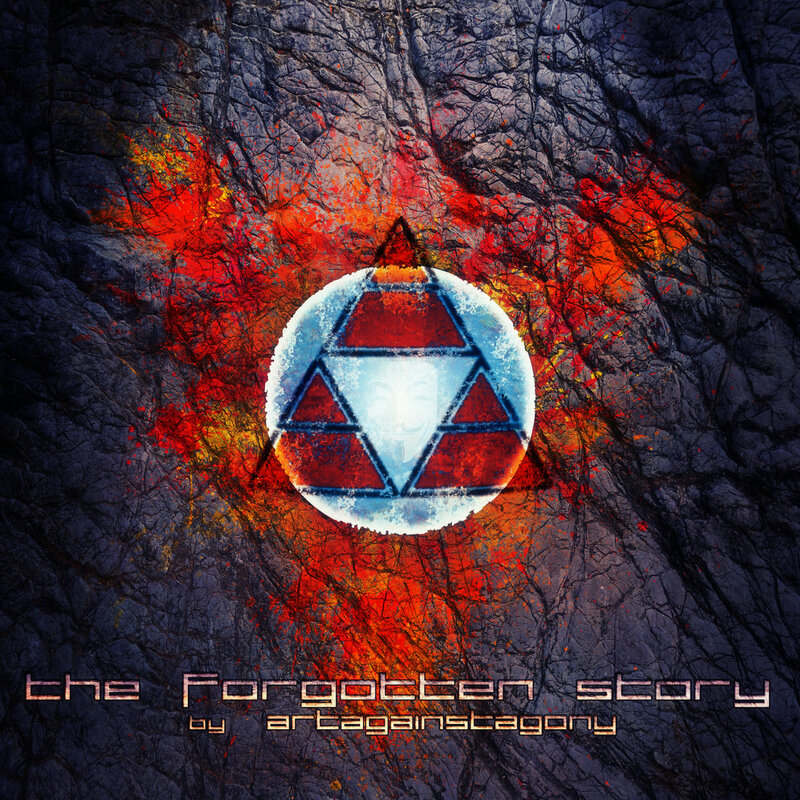 The Forgotten Story EP, as well as the previous Art Against Agony releases, are available in digital format from Bandcamp. For physical editions and merchandise visit Art Against Agony’s official Bigcartel store. The band is also on Facebook and Instagram.